Bill Palfrey came of age during the height of the Great Depression when work was extremely scarce. Many of his friends rode the rails across Canada, looking for work and living the vagrant life. But that life wasn’t for Bill. He decided to join the army, and in 1938, when the Trans-Canada Highway was still a gravel road, he and his brother Tom hopped on a motorbike and rode from Wetaskiwin, Alberta, to Victoria, British Columbia, to join up. That’s where they were stationed when, on Sept. 3, 1939, Great Britain declared war on Germany. 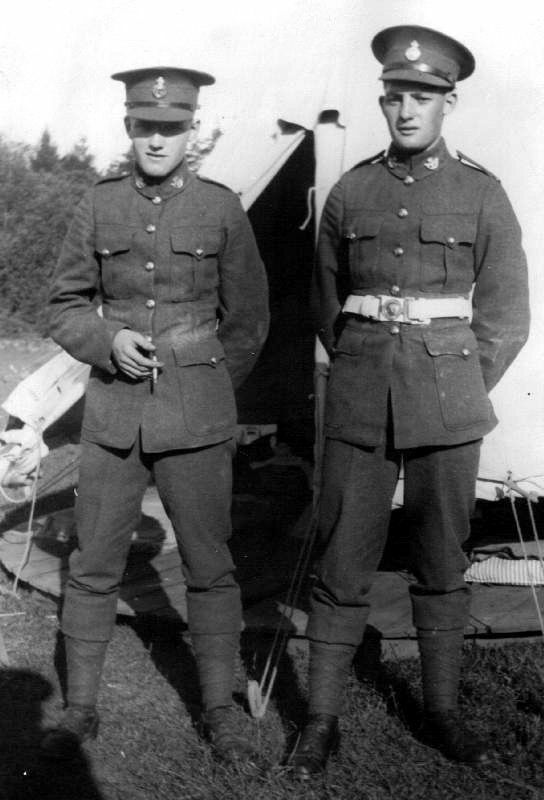 The brothers, soldiers with the Princess Patricia’s Canadian Light Infantry, were soon on their way to England, where they were based the first few years of the war. They went on to see action in Italy and Northwest Europe, but most of that time they weren’t together although their paths crossed periodically. 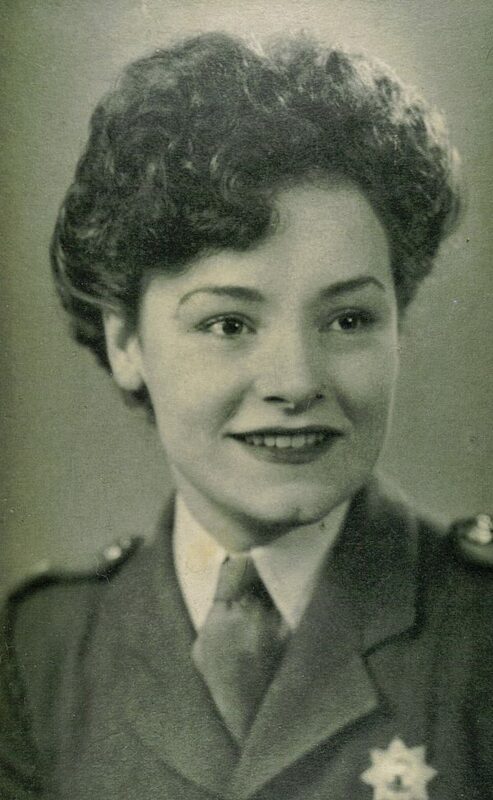 According to Bill’s son, Ken Palfrey, at some point his dad changed regiments and became a scout with the 4th Princess Louise Dragoon Guards in Sicily and the Italian mainland. His unit frequently operated behind enemy lines—one of the most perilous jobs in warfare. “The Princess Louise regiment was kind of a mobile force—they were on motorcycles and Bren Gun Carriers, which is a light armoured vehicle of some sort,” said Palfrey by phone from his home in Powell River, B.C. Although many veterans are reluctant to talk about their war experiences, that wasn’t the case for Bill Palfrey. “His brother wouldn’t talk about it—he never talked about it to his family or anyone. My dad was the opposite. I was raised on his war stories really,” said Palfrey. Remembrance Day is a somewhat poignant time for Palfrey; he had several family members who served in the military. 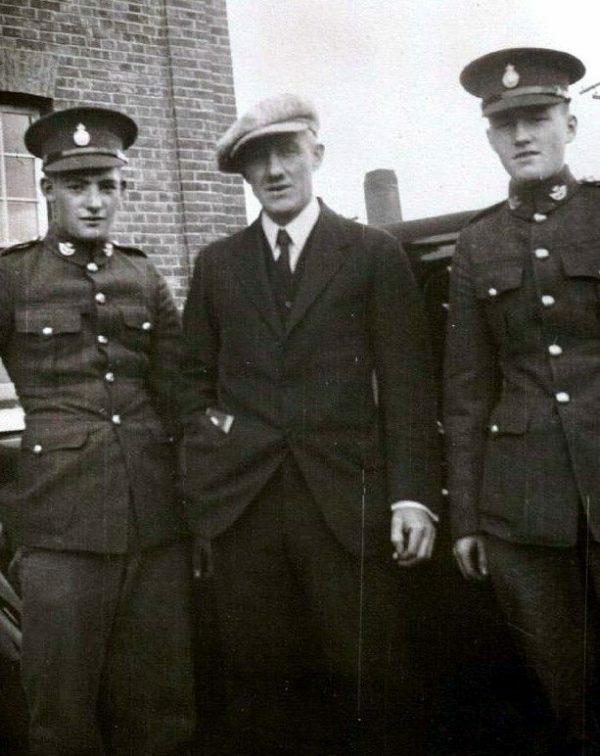 Aside from his dad and Uncle Tom who fought in the Second World War, his grandfather and two granduncles fought in the Great War, with one granduncle not making it home—he was killed in Iraq on his 26th birthday. 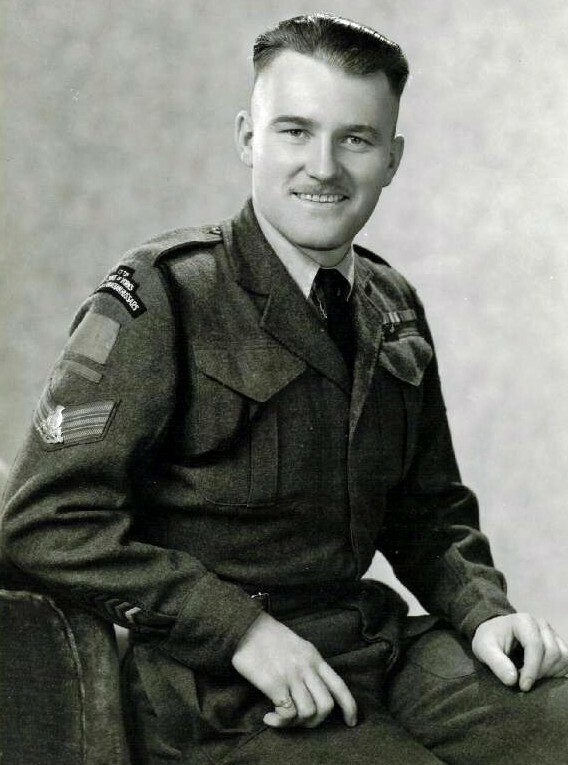 His aunt on his father’s side served in the Royal Canadian Air Force Women’s Division, while his mother, a British war bride, served in the Women’s Royal Army Corps. The Princess Louise Dragoon Guards, a former cavalry regiment with roots in the Ottawa area that dated back to the late 1800s, established a reputation for courage and tenacity as a reconnaissance unit during the Second World War. “They had a lot of direct confrontations with the Germans,” said Palfrey, including hand-to-hand combat. 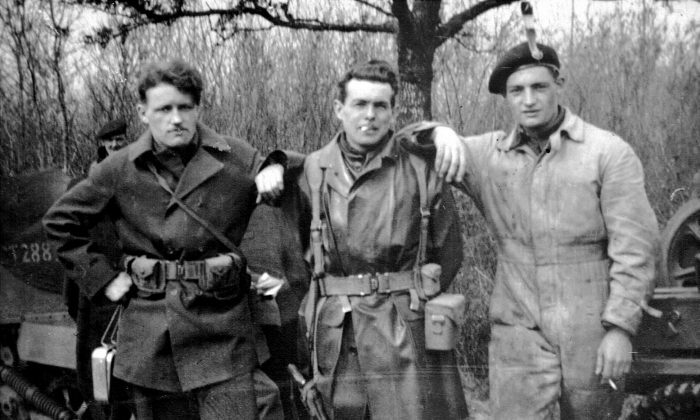 Palfrey said his dad’s unit would often capture German soldiers who had surrendered, but because the unit was behind enemy lines there was no easy way to handle the prisoners so they were given to Popski’s Private Army—an elite British Special Forces unit specializing in intelligence-gathering, sabotage, and partisan support—to be executed. “I remember Dad telling me that atrocities, and in response, counter-atrocities, were frequently committed on both sides,” he said. At one stage during the Italy campaign, Bill served alongside the renowned Ernest “Smokey” Smith, the only private in the Canadian Armed Forces to be awarded the Victoria Cross in the Second World War. A drinker and a scrapper, Smith was promoted to corporal nine times only to be busted back down to private every time due to his insubordinate ways, although he eventually achieved the rank of sergeant. Bill also had little time for authority, said Palfrey. “The night was cold, black, and wet when over the radio headset came an English voice that said the war was over. The next day we entered Rotterdam. Caesar never had such a triumphant parade. Dutch people lined the roads for miles, showering us with flowers and kisses,” he wrote. Then he described an interesting encounter. “I was standing in the turret of an armoured car when a dignified older gentleman handed me a note inviting me to his home. I walked there the next day,” he wrote. “He was a Jew and on the list for the final solution, but his mixed marriage had allowed for some leeway. He told me he had put a bottle of Johnnie Walker in the compost heap the night the German paratroopers landed and vowed not to touch it until Liberation Day, and he wanted me to share it with him. He held a candle while I dug in the compost to locate the bottle. Bill didn’t mention the hangover he must have had the next day, but he did describe how he helped the man who had shared his precious bottle of whiskey with him. “My dad definitely suffered from PTSD after the war,” he said. But Bill was nothing if not a survivor, and lived until the ripe old age of 83. He died in 2002 after a series of strokes. “That’s when all his stories came to an end,” said Palfrey.